You can always opt for wood paneling to change the aesthetic value of a room in a short amount of time. In addition to being easy to install, the wood panels come in varied colors, styles, and dimensions. But you must install the wood panels properly to enhance the aesthetic appeal of the room. In addition to selecting the right type of wood panels, it is also important to understand the most appropriate way to add the wood panels to the wall. 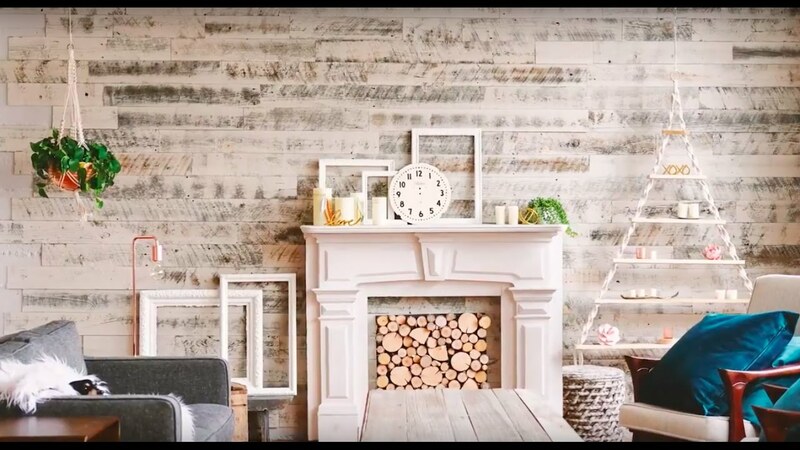 You can always use wood panels as a tool to beautify your unattractive walls. But you cannot install the wood panels properly if the wall is not in proper condition. Before installing the wood panels, you must check the condition of the wall. It is always important to check for any flaking on the wall surface and if the wall is damp and brown. Also, you need to check if there are leaky pipes. You have the option to choose from many types of wood panels – vertical paneling, horizontal paneling, wainscot paneling, beadboard paneling, and abstract paneling. You must compare various types of wood paneling to decide the best way to change the room’s look and feel. It is also advisable to consult an interior designer or avail assistance of experienced handyman to pick the right wood panel. You have to measure the wall before determining the height of the wood panels. The initial measurement will help you to calculate the height and width of the wood panels before placing an order. You can even consider adding 10% more to the estimated height of the wood panels. The addition will ensure that the wood panels meet your requirements precisely. While installing wood panels, you have the option to hide the exposed plumbing. However, it is also important to ensure that the sockets and switches on the wall are installed on the wood panels properly. The handyman will help you to adjust the exposed plumbing or accommodate the sockets and switches in the most appropriate way. You can install the wood panels in a number of ways. The installation process further differs from one type of wood paneling to another. Hence, you have to decide the installation process according to the style and type of wood panels. You can easily add these panels to the wall using wood glue. After applying wood glue, you need to use pins to hold the panels separately till they become dry. Once the panels become dry, you can remove the pins and sand them thoroughly. After installing the wood panels, you have to explore ways to hide the holes and gaps. It is always a good idea to make the wood panels look flawless by applying a coat of paint. However, you must clean the wood panels before applying paint and apply the paint using a soft brush. You can even consider applying a second coat of paint once the first coat dries completely. You can always consider availing the assistance of skilled handyman to install the wood panels perfectly. In addition to using the appropriate tools, a professional handyman will also help you to maintain the wood panels in the long run. Need fixing wood panels in your home? Give Advantage Home Contracting a call at 1-434-817-7222 for a free estimate today!